We are overjoyed when our members shine and move on to bigger and better things in the performing arts. We want these pages to celebrate their successes and provide an inspiration for others. Phil first performed with CHTC as Cornelius Hackl in the 1996 Town Show Hello, Dolly! He went on to perform in A Funny thing Happened on The Way To The Forum (~1997) and star as The Baron / Martin von Heilmann in the 1998 HTC production of Curse of the Werewolf which ran to packed houses during HADCAF in 1998. 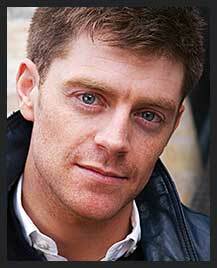 Phil trained at LAMDA. Recently he has had his French cinema Debut in 'Céline'. It was released in France in March 2016. The Premiere's was in Paris on the 25th February. 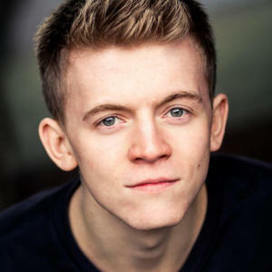 Kris Smith performed in a number of JoG school and HTC shows and also appeared on stage at the Corn Exchange in Newbury. He first joined CHTC in the junior chorus of the 1992 Town Show Annie. He went on to feature as Barnaby Tucker in the 1996 production of Hello, Dolly!, in 1997 as Arthur Kips in Half a Sixpence and as Perchick in the 1998 show Fiddler on The Roof, also as Tom, the dopy vet in the HTC production of Alan Ayckbourn's comedy, Round and Round The Garden. Natalie Hyde joined CHTC in the junior chorus for Fiddler on the Roof in 1998. Following that she progressed up through the Junior and Adult Chorus for several more shows. She took on the role of Kathy Cratchit in Scrooge and one of the Andrews Sisters in Happy as a Sandbag before making her sensational lead debut as Mei Lei in Flower Drum Song in 2006 (Photo below). She also took on a number of roles with the Youth Theatre and the Players in productions such as The Gut Girls, Once a Catholic and Ritual for Dolls. She returned to CHTC briefly in 2007 as a one-person pit choir for Hello Dolly! In her programme notes for Flower Drum Song Natalie said that she had always enjoyed being part of CHTC with the rest of her family (Sister: Louise, Mum: Jennifer and Dad: Paul) and had made many new friends over the years. As well as being an accomplished actor, Natalie is a talented Soprano Singer. Whilst at St Gabriel's School in Newbury she played Oboe with the Berkshire Maestros orchestra before completing her 6th form years at The Purcell School under the DFES Music & Dance Scholarship Scheme. Purcell is the specialist music school where she sat her A levels. Georgina first performed with CHTC in the 2004 Town Show, Happy as a Sandbag. Playing an evacuee, she sang her first ever solo, ‘The White Cliffs of Dover’. Georgina says "thank you David and Paul for choosing me .... after that, I pestered my mum to take me to auditions and get dance lessons, and the fun has never stopped". She went on to play the Mock Turtle in the 2005 Childrens Theatre production of Alice, and Chris in the 2006 production of Scheherazade. 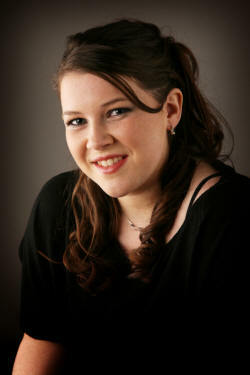 Georgina qualified last summer with a 2.1 degree in musical.theatre at the Arden School of theatre in Manchester. At the moment she is playing the villain Fleshcreep on tour in panto with Reamba productions. Following this will start an 8 month contract with Warner Leisure as singer/dancer. She is very happy to be living the dream and being paid for something she adores doing. Bella joined The Community of Hungerford Theatre Company in 2013 when she played Little Emily in Davy. Since then she appeared in The Wizard of Oz as part of the Lullaby League, did an unforgettable performance as Mr Toad in the Children's Theatre production of Wind in the Willows, performed the part of Louise in Whistle Down the Wind and Chef Louis and Atina in The Little Mermaid. She succesfully auditioned for Tring Park School for the Performing Arts in 2015. To win her place at the school, Bella had two days of auditions that included dance, singing and acting. For her acting audition she performed part of the script of 'Wind in the Willows' which was the Children's Theatre production in 2014. In the last year at the school Bella reached the regional final for the Rotary Youth Speaks competition (along with two others from her year) in the 11-13 yr olds category. They won the sitrict final, a first for the school in that category. She also took part in the annual show which wasl Into The Woods and throughly enjoyed the experience but still misses HTC all her pals and leaders alike. In the summer of 2016, Bella joined the writing workshops to write The Mad Hatter Running out of Time, which will be performed by the young performers in 2017. Johnathan started with CHTC on the 1998 Town Show, Fiddler on the Roof, as a junior member of the lighting crew. Over the next 8 years he became a significant part of the team responsible for lighting 24 CHTC and HTC productions, including 9 Town Shows. He was lighting designer for 17 of these, the last of which was Flower Drum Song in 2006. George has been with CHTC since 2003 and has always been proud to be part of the Town Show. His roles have included Evacuee in Happy as Sandbag, Little Jake in Annie Get Your Gun, The Mad Hatter in the Children's Theatre production of Alice in Wonderland (a very apt casting). George was delighted to be cast as Will Parker in the JoG School production of Oklahoma. In our 2007 production of Hello, Dolly! 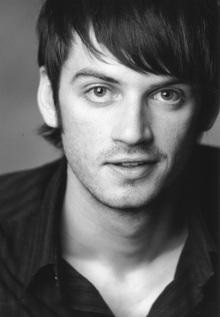 George revelled in the role of Barnaby Tucker. For Blitz! the following year he took on the smaller role of Bird to allow for the increasing demands of schoolwork. Similarly for The King and I in 2009 George appeared as an Amazon and Simon of Legree in the excellent ballet. His most recent appearance was with the Youth Theatre in 2009 as Fritz, the German Shepherd dog in A Dog's Life, part of Theatre in the Arcade.